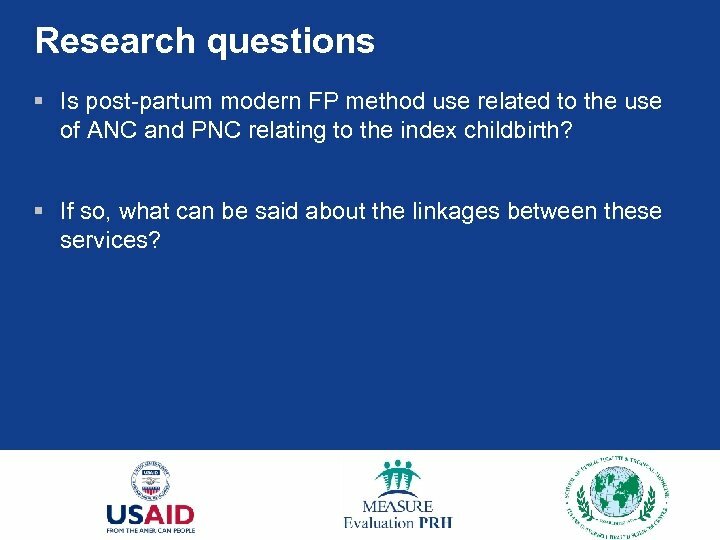 Research questions § Is post-partum modern FP method use related to the use of ANC and PNC relating to the index childbirth? 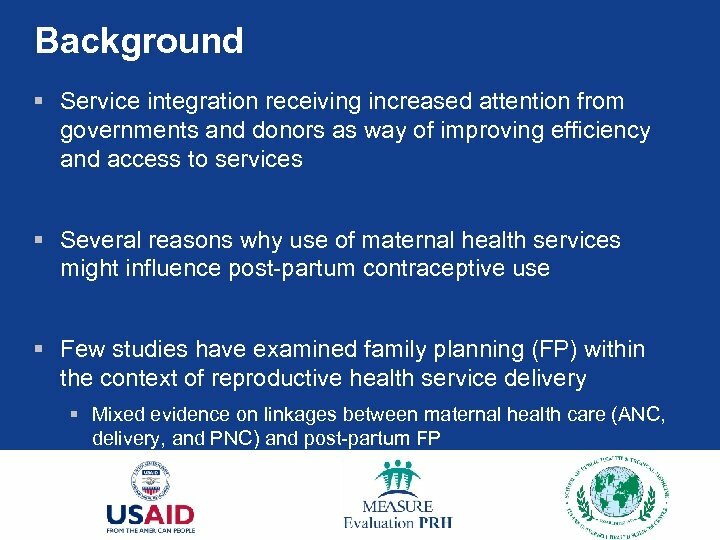 § If so, what can be said about the linkages between these services? 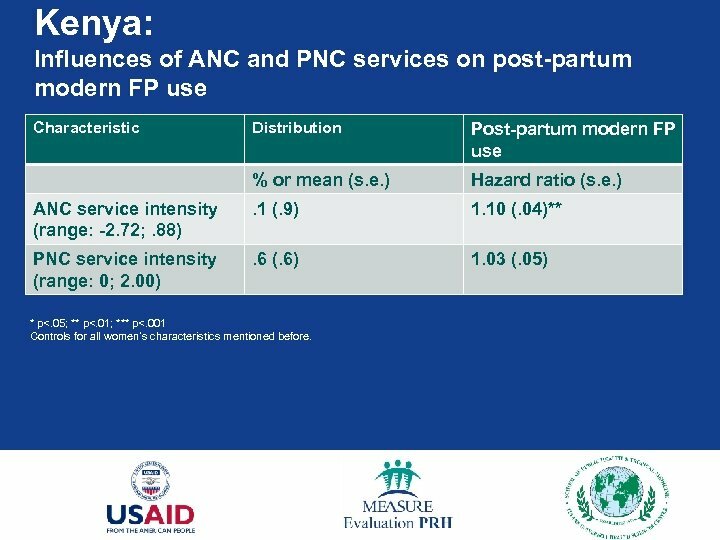 Kenya: Influences of ANC and PNC services on post-partum modern FP use Characteristic Distribution Post-partum modern FP use % or mean (s. e. ) Hazard ratio (s. e. ) ANC service intensity (range: -2. 72; . 88) . 1 (. 9) 1. 10 (. 04)** PNC service intensity (range: 0; 2. 00) . 6 (. 6) 1. 03 (. 05) * p<. 05; ** p<. 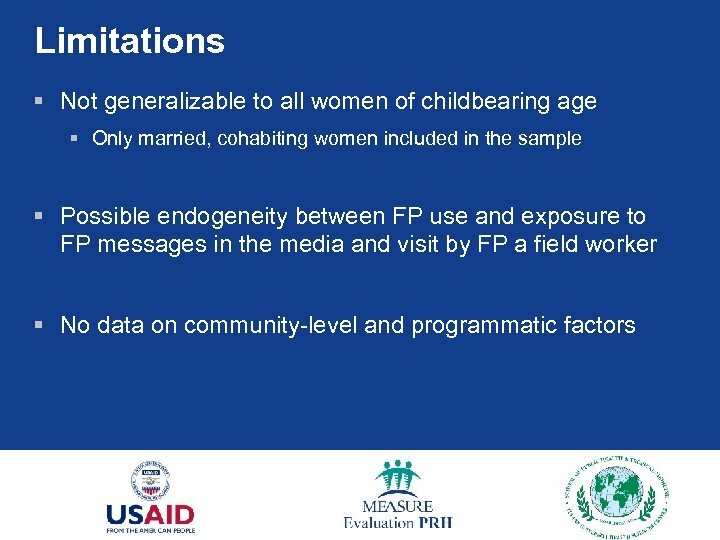 01; *** p<. 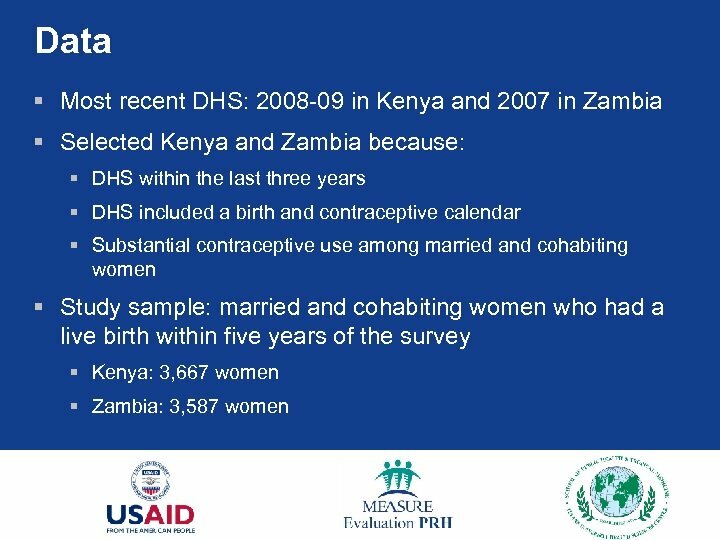 001 Controls for all women’s characteristics mentioned before. 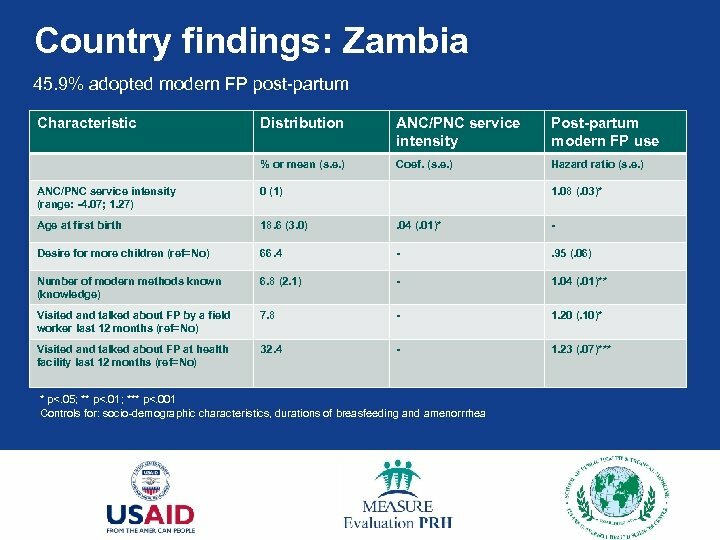 Zambia: Influences of ANC and PNC services on post-partum modern FP use Characteristic Distribution Post-partum modern FP use % or mean (s. e. ) Hazard ratio (s. e. ) ANC service intensity (range: -4. 06; 1. 26) . 0 (. 99) 1. 08 (. 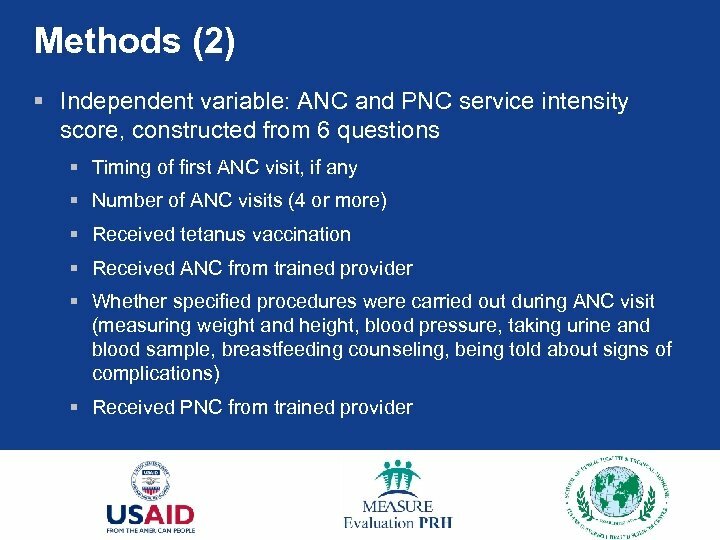 03)* PNC service intensity (range: 0; 2. 00) . 6 (. 7) . 95 (. 04) * p<. 05; ** p<. 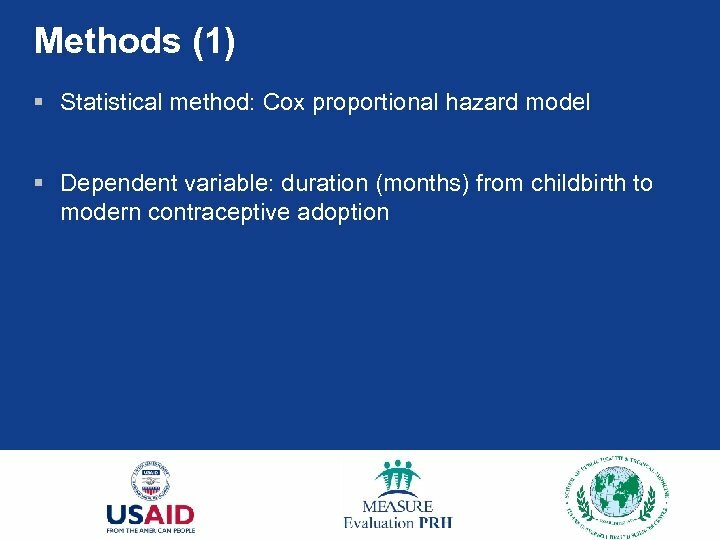 01; *** p<. 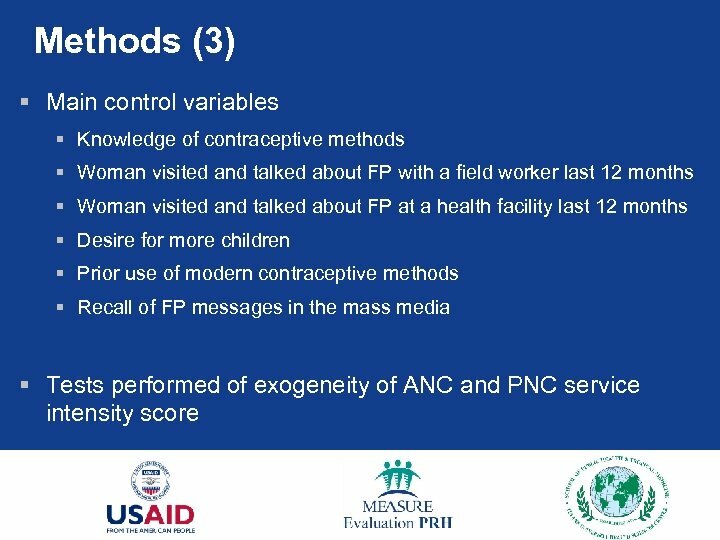 001 Controls for all women’s characteristics mentioned before. 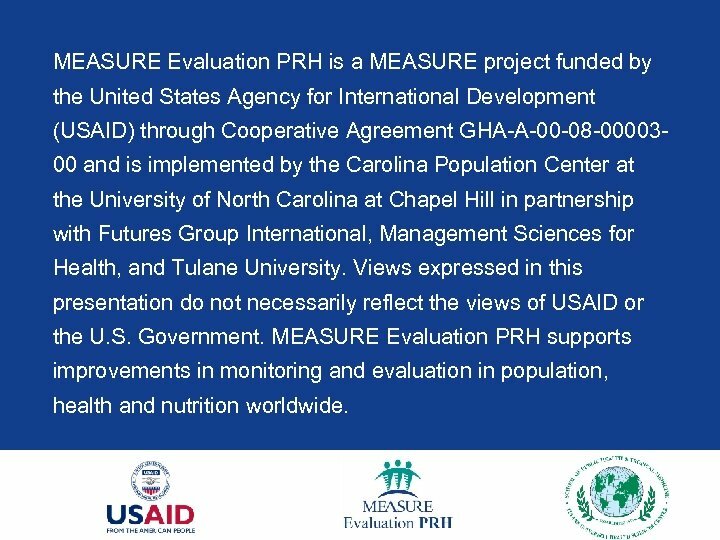 MEASURE Evaluation PRH is a MEASURE project funded by the United States Agency for International Development (USAID) through Cooperative Agreement GHA-A-00 -08 -0000300 and is implemented by the Carolina Population Center at the University of North Carolina at Chapel Hill in partnership with Futures Group International, Management Sciences for Health, and Tulane University. 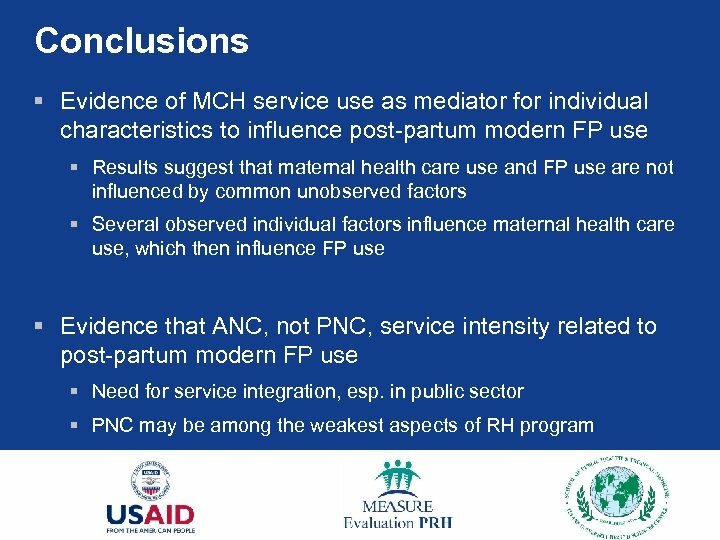 Views expressed in this presentation do not necessarily reflect the views of USAID or the U. S. Government. 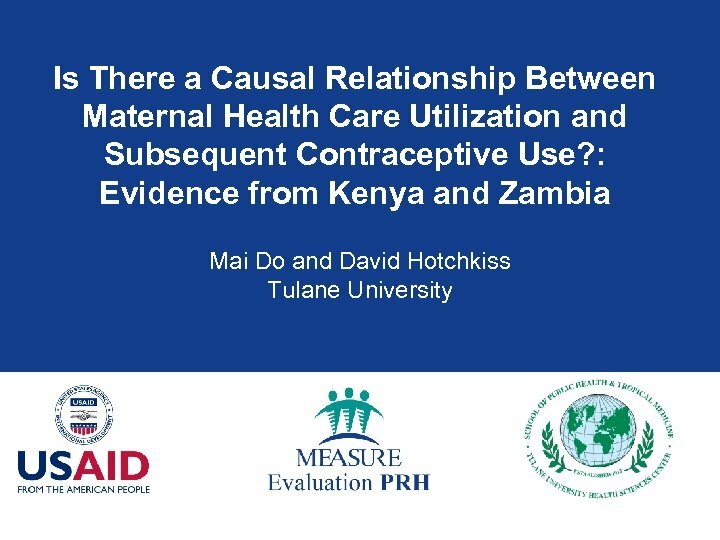 MEASURE Evaluation PRH supports improvements in monitoring and evaluation in population, health and nutrition worldwide.